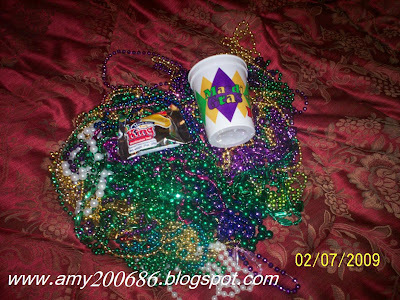 You already see the cheering crowd, the extraordinary floats and now the beads and other things they give to the crowd. 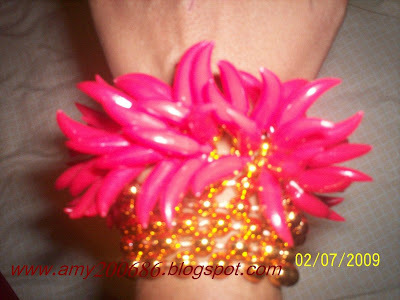 I love this chili bracelet, so cool. 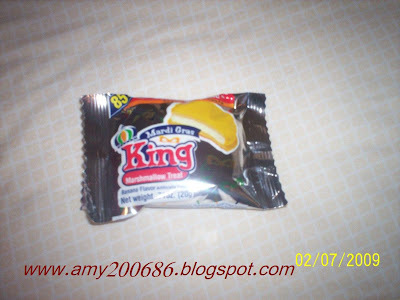 Well, I just witnessed the crowd were so eager to catch these things and collected these into their bags. 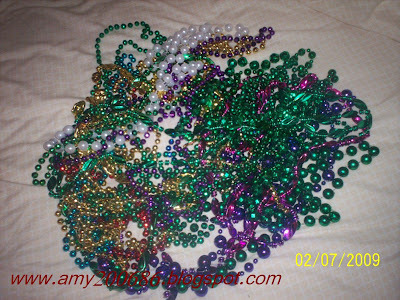 Some beads that fell on the ground, they just ignore it. The second batch....see how plenty! My husband catch most of these. I just cover my face because that hurts if it hits you. I saw one baby cried in pain....she was hit by the flying beads...nobody's fault anyway. Parents should be careful in these kind of festivities. Children are the most vulnerable. Yep! That is a mardi gras cookie, taste good though. They hand it to the crowd. It is a marshmallow cookie. 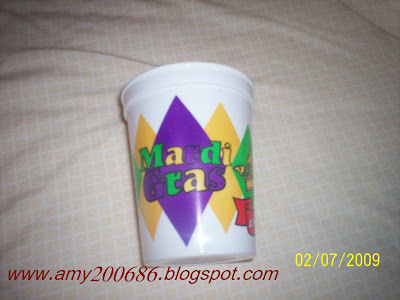 Just a remembrance, a plastic cup....hehehe....has got the mardi gras name and future schedule for the next 5 years.